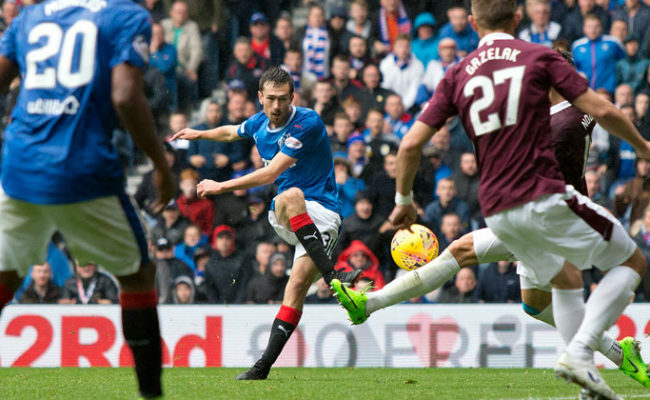 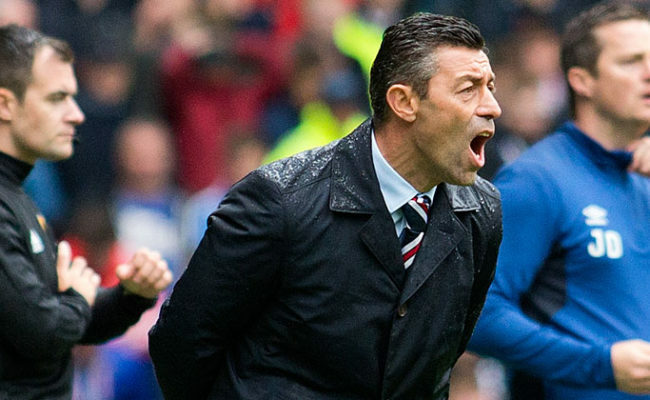 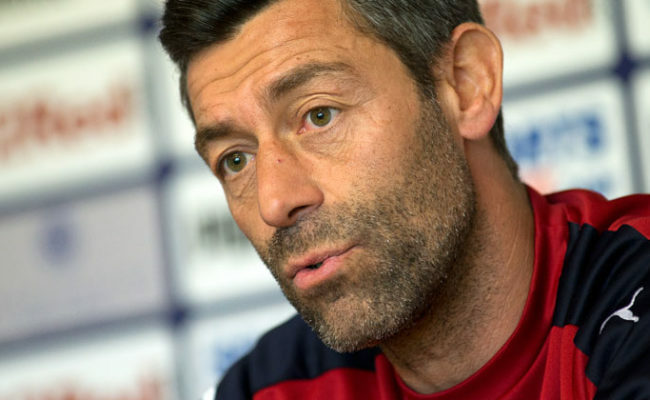 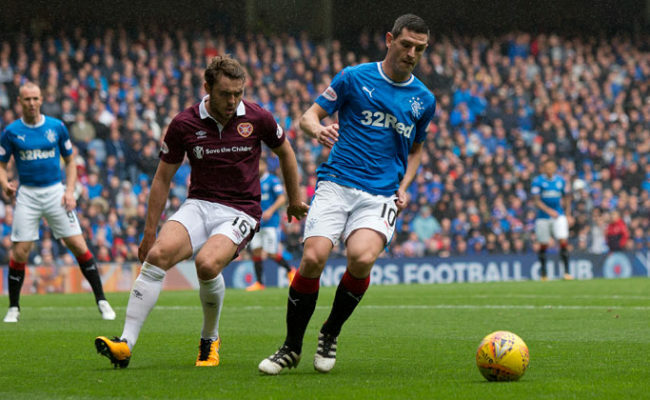 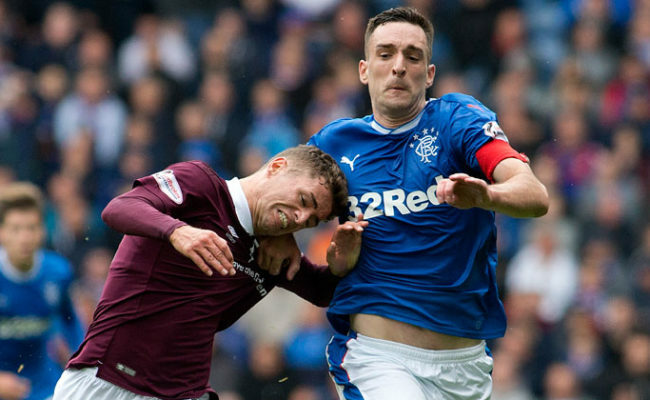 RANGERS were held to a frustrating goalless draw by Hearts at Ibrox Stadium this afternoon. 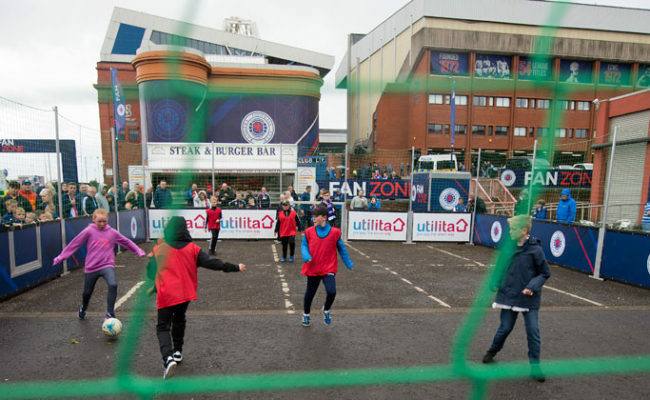 The Light Blues certainly had the better chances to collect all three points from the match, but it was the visitors from Edinburgh who leave Govan the happier of the two sides. 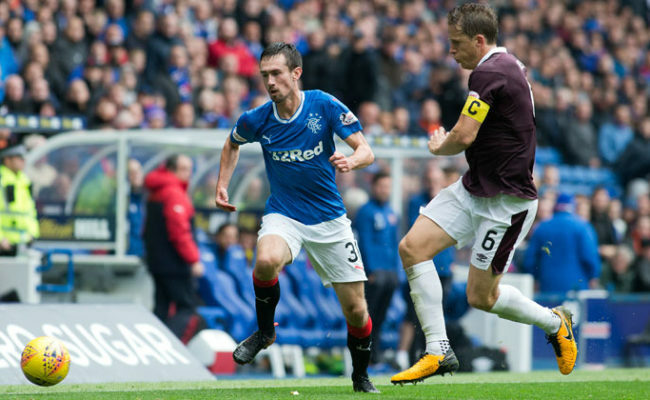 After a cagey start, the game came to life in the ninth minute, with Kenny miller having a golden chance. 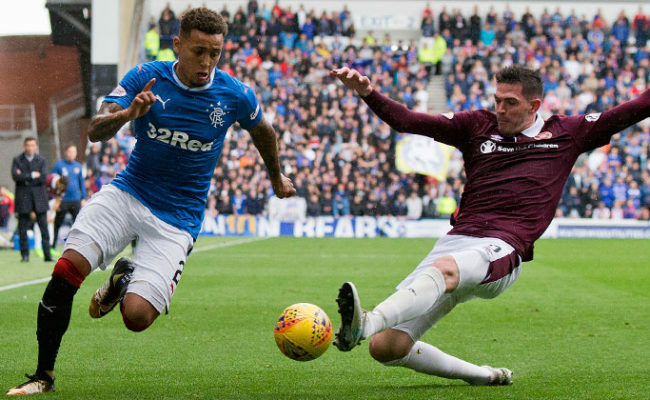 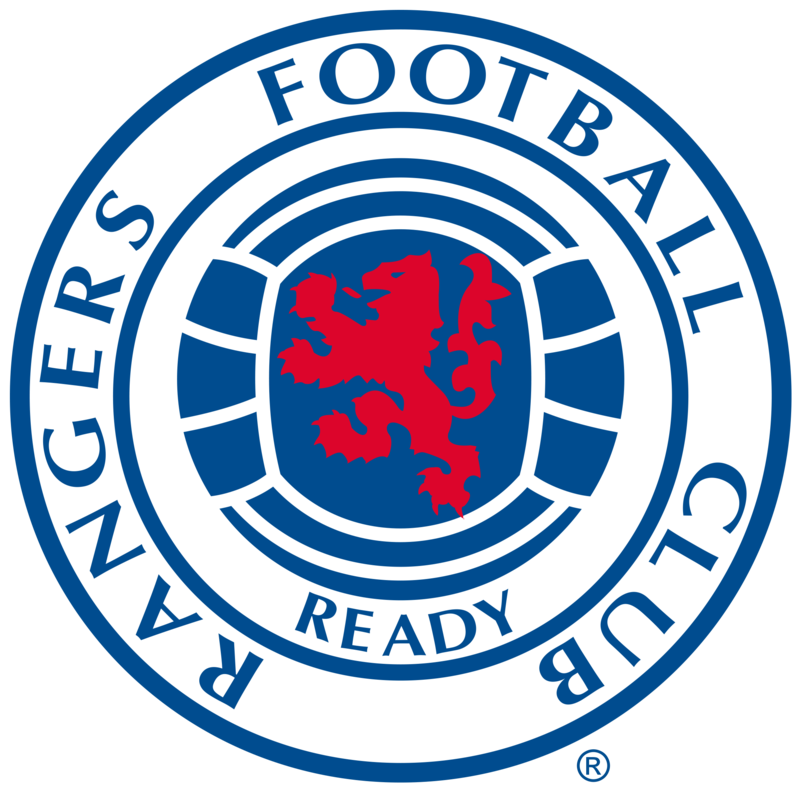 Good work on the left wing from Lee Wallace, Graham Dorrans and Josh Windass ended with the Gers skipper sending in a cross for Miller, with his goal-bound shot diverted away at the last minute by Christophe Berra.